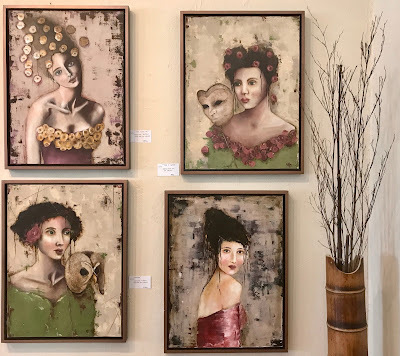 amiro art galleries: First Friday July: Emma Greenhill - "Beyond The Canvas - A Series Of Women With Spirit"
First Friday July: Emma Greenhill - "Beyond The Canvas - A Series Of Women With Spirit"
This First Friday Artwalk, we are featuring English artist Emma Greenhill. Emma has been rapidly gaining prominence for her lavish portrayals of the feminine spirit. 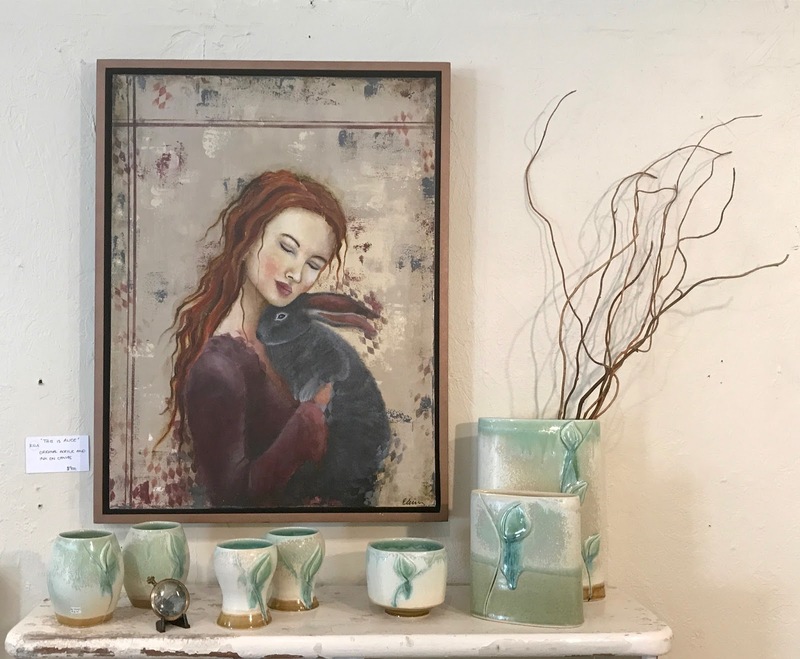 Imbuing each of her subjects with personality and detail, they each come with their own story to tell, brought forth from the creative hands of the artist. Emma Greenhill was born and educated in the United Kingdom. She first moved to the United States in 1999 and has spent much of the last 18 years back and forth between Florida and England currently living in Jacksonville. Her desire is to be in St Augustine, somewhere near the water with her husband, two dogs and any of their six grown children who wish to be there. Emma's excitement for art started at an early age, as a fairly shy child she would bury her head in an art project or sketch pad. The desire to create has followed her through life, her ideas about art as a college degree were cut short after an illness in her late teens and early twenties and she considers herself to be a self taught artist. She has experimented with several mediums over the years and has always come back to acrylics, oils and inks as her preferred choice. The colors, textures and flexibility are very appealing to her and she enjoys working with both brush and palette knife. 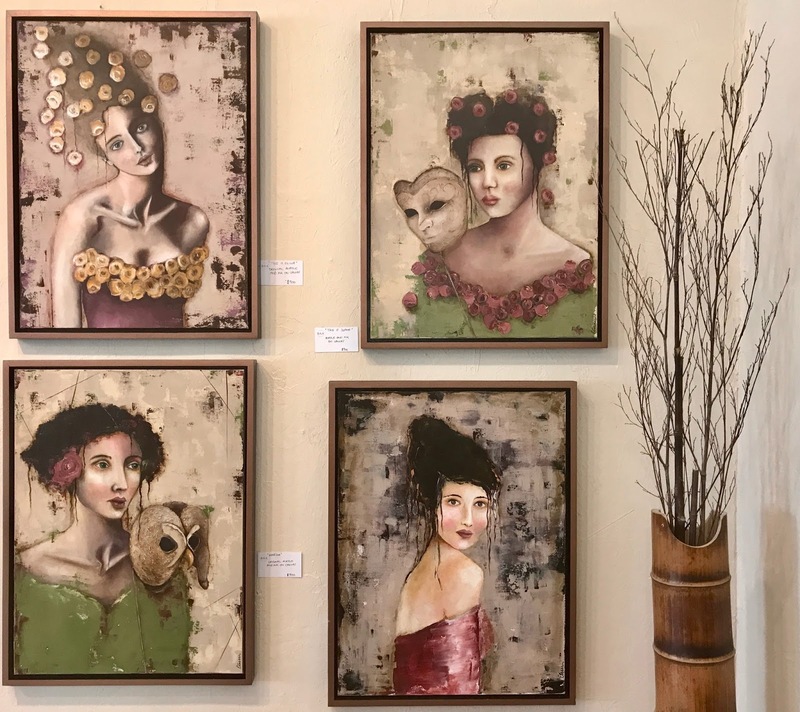 She is currently focusing her work on the inner strength and beauty of women and is having fun creating not only their portraits but also their stories. 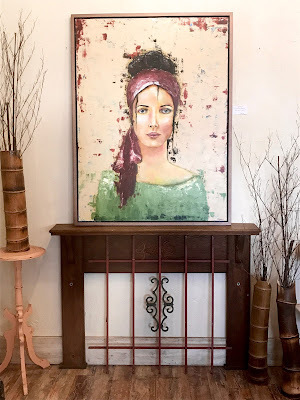 contemporary art and vintage finds, paintings, prints, works in clay and collage, musical instruments, and adornments for the body and home. Amiro is located at 9C Aviles Street, the oldest street in America, in the heart of historic Saint Augustine. Aviles Street is a charming bricked street remininscent of Old World Europe and lined with galleries and sidewalk cafes. 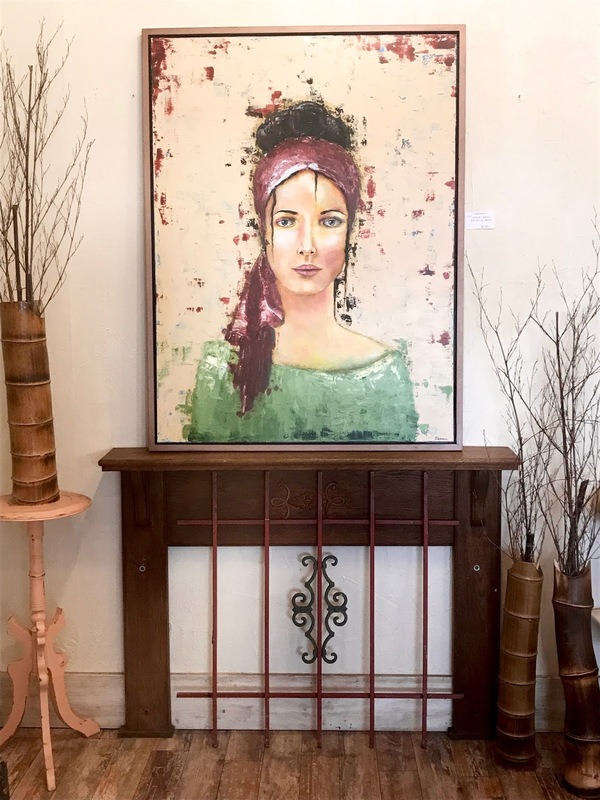 Enjoy the ambiance of Aviles Street during the pedestrian friendly First Friday Art Walks that are held each month from 5:00p.m. to 9:00p.m.